The session got off to a start with UK PM May speaking, very briefly, and adding nothing we didn't already know. Since her speech cable ticked steadily higher to above 1.3220 and is just under there as I post as we await the next round of Brexit headlines. NZD had jumped on the FOMC announcement earlier and retraced circa 50%, and on the GDP data release it jumped again, testing its post-FOMC and high, tracking sideways for a couple of hours and then surpassing it. As I post NZD/USD is off its day's high. The second pop higher for NZD came about the same time as the Australian dollar moved higher upon release of the February employment report. The report was not bad, but it was not great either, with both positives and negatives (see bullets above). On balance I reckon it was a bit soft, but there is a big BUT ... the unemployment rate cracked under 5.0%, to 4.9% (if you care to there are plenty of 'rounding' discussions to track down, but the headline is 4.9%). That "4.9%" rate hit the headlines, its the lowest in 8 years. 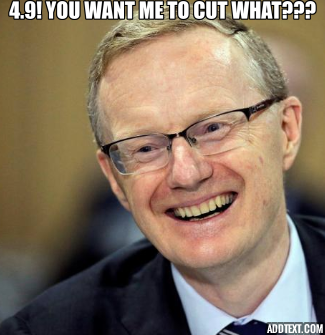 It removes, for now, the possibility of a near term RBA rate cut. Dunno how RBA Gov. Lowe responded, but something like this is likely. The details of the report do indicate some momentum coming out of the labour market, and that may well show up in the months ahead. But for the session the AUD made hay, moving above 0.7160. Its dipped towards 0.7150 as I update. USD/JPY had dripped a little lower on the session, in a very small range only. A small range too for EUR/USD, sitting above 1.1420 for most of the day. USD/CAD is little net changed for the session, as is USD/CHF. Gold has had a good day, adding a few dollars. Thanks Jerome.